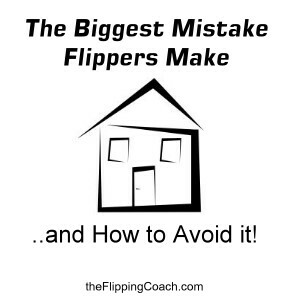 The Biggest Mistake Flippers Make, and How to Avoid it! The number one mistake that I see New Investors make is that they listen to naysayers. They will look at a property, and call a buddy, Realtor, or even a contractor to get that person’s advice. What they don’t realize is that most of these people have absolutely no investing experience, so why in the world would you listen to them on whether or not this is a good investment? That is like going to a Marriage Counselor that has been divorced three times for couples counseling. 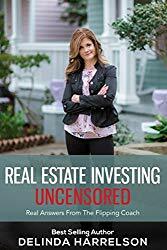 Having over a decade of investment experience, I have come to accept that I am responsible for my own success and that means I need to do as much research as possible when it comes to a particular house. 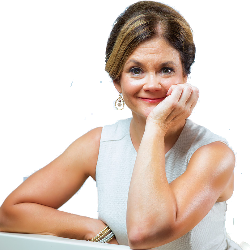 Realtors always want to do what we call a CMA (Comparative Market Analysis), which they lump every sale in an area into one category, regardless of size, condition, upgrades, the neighbor, the street, or the cost to rehab the house. If it was so easy to get a true value of a house doing it that way, why are there Appraisers out there? What most people don’t realize is just because a house hasn’t sold, or sold for a very low price, doesn’t mean there is anything wrong with that neighborhood. Ninety nine percent of the time there is something wrong with the house, and it will not sell anywhere near the value of the rest of the area. I have certain neighborhoods that I farm. I can tell you every house that sold and didn’t sell since I had been investing in the area. Do you not think that is valuable when you get some lowball offer because the Realtor and buyer searched to find the lowest sale of the area, or a CMA of non-rehabbed houses in order to scare you into taking the lowball offer? The key is to know your area better than they do! I have had offers $50,000 below my asking price, with my own Realtor trying to pressure me to take it and the majority of the time, after sitting down with the buyer and their Realtor, I can get them to 96-98% of my asking price. Unfortunately, I have to spend a lot of my time educating them on the difference in prices throughout the neighborhood based on the many variables involved in comparing houses. I know this sounds like a lot of work to New Investors, but if you want to get the most money out of a house, you better invest the time to know the area. When you can show that a house was on the market, for 365 days, when the rest of the neighborhood is selling in 90 days, you can normally convince most sane, and fair people that this is not a sale they should use to determine what your totally rehabbed house is worth. And NO guys, most of your Realtors are not good enough at their jobs, to know the difference in prices for the same size house in a neighborhood. There is a lot more to investing besides looking at sales and pictures on line. Get your boots on the ground and go look at houses in areas you are interested in. 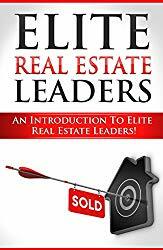 Become an Expert in that type of property or you will leave a lot of money on the table, IF you can even sell it! If I had listened to 99% of the Realtors out there, I would not have had the success I have had flipping houses. Get a good coach that has over a decade of experience doing what you want to do, and it will shave off years from your learning curve.